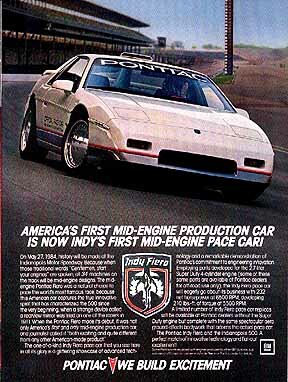 The 1984 Pontiac Fiero is among the most unique cars ever to pace the Indy 500. 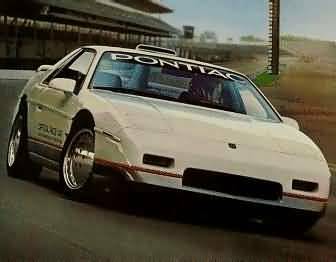 It is the only mid-engine car ever to pace the 500, as well as the shortest car to ever hold the honor. 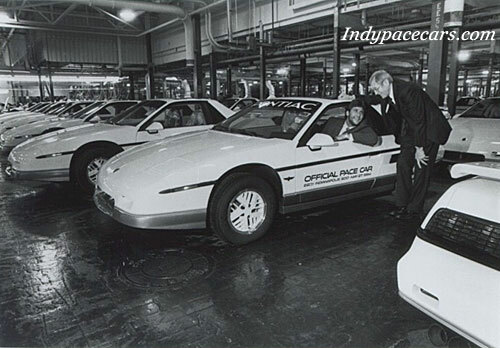 It is also one of very few 4-cylinder cars to pace at Indy. above the roof to help cool the mid-engine car. 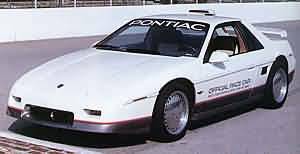 2000 pace car replicas were made available by Pontiac and were powered by a 2.5L 4-cylinder engine.